An intergalactic inspiration for starry-eyed 2-6 year olds and their adults by Frozen Charlotte. Inspired by women in Space including Valentina Tereshkova (first woman in Space) and Mae Jemison (first African American woman in Space) Valentina’s Galaxy is a fascinating, funny and moving experience created especially for young audiences. Designed by Katy Wilson and Directed by Heather Fulton of Too Many Penguins? fame, this immersive performance will captivate children and adults alike with a combustible concoction of experiments, rocket launches and star gazing. Commissioned by Edinburgh Science Festival working in partnership with Imaginate and Starcatchers as part of Science in the Spotlight – aiming to bring together the wonder of the theatre and the explosive world of science communication. 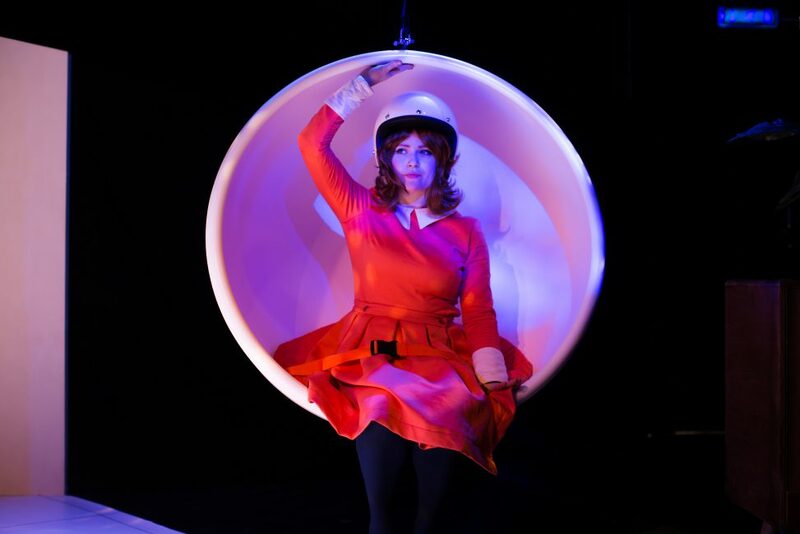 Valentina’s Galaxy will be presented as part of 30th Edinburgh International Children’s Festival from Saturday 25th to Saturday 1st June 2019. *Relaxed performance aimed at audience members who would benefit from a more relaxed theatre environment, including people with an autistic spectrum, sensory or communication disorder. Valentina’s Galaxy is available for touring. Please request a tour pack. Description: Visual, movement, limited text.